The compact but forgiving iron sector is one of the broadest in the game. From tour players to mid-handicap amateurs there are performance benefits that can really help a golfer’s ball-striking. But of those on the market, which one is aimed at you? To help answer this question we produced this video - Head-To-Head Gear Test: Compact Forgiveness Irons. The compact but forgiving iron sector is one of the broadest and most important equipment areas in the game. From tour players to mid-handicap amateurs there are performance benefits here that can really help a golfer’s ball-striking. 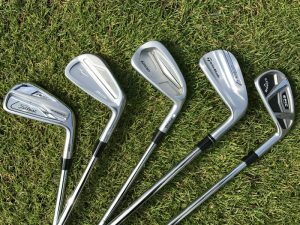 But of the beautiful, compact but forgiving irons on the market, which one is aimed at you? 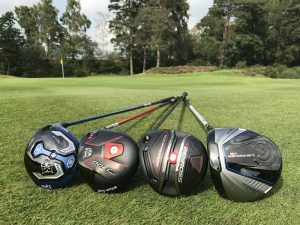 To help answer this question we produced this video on five of our favourites – Head-To-Head Gear Test: Compact Forgiveness Irons TaylorMade P790 v Titleist AP2 v Callaway Epic Pro v Mizuno MP-18 MMC v PING i200. As you can see from the address view, there really is nothing to choose between them. The top-lines are all very similar in their traditional profile. There are some differences in terms of their shelf appeal and so my favourites in this category were the TaylorMade P790, Mizuno MP-18 MMC and the Titleist 719 AP2. Again, all of these irons are designed to feel fantastic and they certainly deliver. For me, the PING i200 was a surprise package. It isn’t forged but the engineers clearly understand how important a clean, crisp sound is through impact and it really delivers. 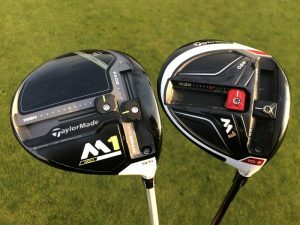 I also liked the powerful, traditional feel of the Titleist AP2 and the Mizuno MP-18 MMC. This is where you start to see some major differences. Now the first thing to say here is the lofts differ quite significantly. 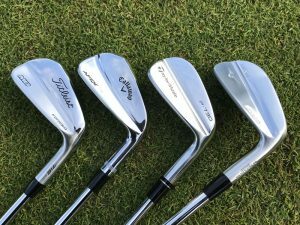 We tested the standard 7-iron in each set and here are their lofts: TaylorMade P790 30.5˚, Callaway Epic Pro 31˚, Mizuno MP-18 MMC 32˚, Ping i200 33˚, Titleist AP2 34˚. 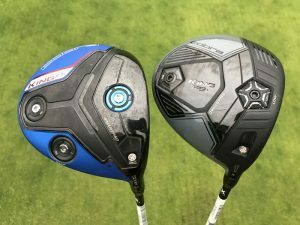 With a 3.5˚ difference between the strongest (TaylorMade) and the weakest (Titleist), the results are naturally going to throw up some major differences. The TaylorMade was the longest for me (averaging 188 yards) but both the launch and spin rates were still good. The distances were a little less consistent. 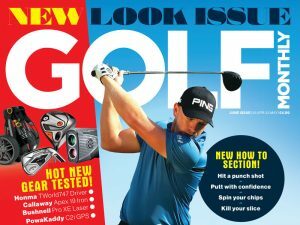 The Titleist, whist being the shortest 7-iron we tested, was the most consistent in terms of distance. The PING was the easiest to launch and provided solid distance. Similarly, the Callaway and the Mizuno provided good raw distance but those distances were also impressively consistent. 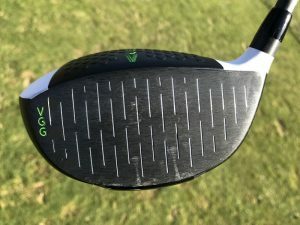 There is a lot to unpick here but my choice would be the Callaway Epic Pro – it was consistently long whilst also launching exactly as a 7-iron should and providing the precision a low-handicapper is looking for. With so little to choose between them in many categories, price is going to play an even more important role. What we are referring to here is the recommended retail prices per steel-shafted club – here they are: PING £120, TaylorMade £130, Titleist and Mizuno £150, Callaway £224. As you can see the Callaway sits well apart from the rest as it was designed to be a ‘no-holds barred’ iron. 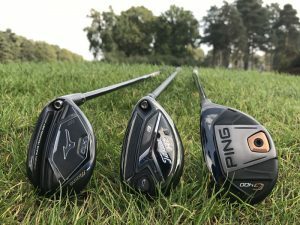 The PING however does offer excellent performance at a good price. Golfers are spoilt within this area of the equipment market. The good news is that from what I tested, there is no bad option. They all offer a combination of feel and forgiveness that could really help your ball-striking. If this was my decision, I would go for the Mizuno MP-18 MMC. It sits nicely in the middle in pretty much every category. It feels and looks fantastic but it also offers strong consistency of distance. Whichever direction you are leaning, we would advise a thorough custom-fitting. Investing in a new set of irons is not cheap so work with a fitter to ensure that whatever brand you opt for, it is dialled in perfectly for your game.